Jane Gotto « let's talk! 2014 was an exciting year for The Terrace in Taunton, marking as it did the twentieth anniversary of its establishment and its development into a leading psychotherapy and complementary health centre in Somerset. There was much to celebrate, and even more to look forward to – no one is slowing down now. To mark the anniversary Jane Gotto, Director of The Terrace, was interviewed by Suzie Grogan at some length about the history and development of the business; the ethos behind it and the therapies available, as well as plans for the future – including her commitment to taking The Terrace into social media and the blogosphere! As part of the on-line plan, The Terrace has opened a YouTube channel and the first videos uploaded are, of course, the interviews with Jane. In this first one, for example, she discusses how The Terrace came into being. And in this one, she discusses future plans…. Do take a look at the channel, and if you have any ideas on other videos we can produce, or clips already on YouTube that we can link to we would love to hear from you. So not only does The Terrace have a Facebook page at www.facebook.com/TheTerraceTaunton, you can also follow us on twitter @terraceclinic and on Pinterest www.pinterest.com/terraceclinic. It isn’t all about promoting the business, although that is important of course. We find interesting articles on issues relating to psychotherapy, counselling and complementary health, alongside those campaigns we support – most particularly the prevention of sexual abuse and female genital mutilation. And of course, on this blog we write in more detail on the same subjects and offer mindfulness practice and explanations of therapies you may not have considered before. So after this shameless self-promotion we would love you to engage with us, comment on posts, converse on twitter and follow us on Facebook. We never spam and are always happy to answer questions. And of course, there are lots of lovely pictures and inspiration on Pinterest. Our last post was a call for greater awareness of Female Genital Mutilation (FGM) and our horror at the way the practise of cutting young girls can continue in communities in Britain seemingly without fear of prosecution. To write on the subject last week was good timing. Over the weekend reports and comment in the national press indicated that the challenge of eradicating FGM is gaining support and prosecutions will become more common. However, it is still far from easy to see how this will come about. 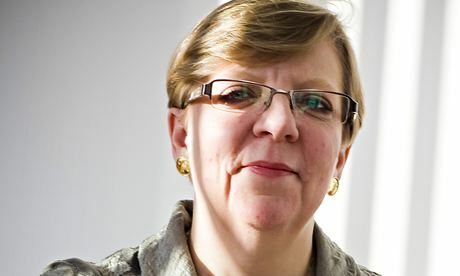 The director of public prosecutions, Alison Saunders, has criticised medical staff for the poor number of referrals. Only 11 cases of female genital mutilation have been referred for prosecution by the police to the Crown Prosecution Service in the last three years, even though at least 144 complaints were made to police. The first prosecution for female genital mutilation was announced two weeks ago. It is 29 years after it became illegal in England and Wales. The DPP was appearing before the House of Commons home affairs select committee, the Chairman of which, Keith Vaz said they had taken evidence that as many as 66,000 women in England and Wales had been subjected to FGM. “Eleven referrals sounds a very small figure,” he said. The DPP claims it is lack of evidence that prevents prosecutions proceeding, rather than loopholes in the legislation. That is why she wants reporting by health staff to become compulsory, but she would not go so far as to say compulsory examination of girls, such as that required in France, should become part of British law. We appreciate that this is a legal issue that is fraught with difficulties, but it is too important to be lost in a mire of discussion. Even the announcement of a prosecution has met with concern, as the case is not straightforward, involving as it does a repair rather than the actual act of FGM. What do you think? Are we guilty of talking too much and doing too little? How should medical staff approach this? Are you in favour of compulsory examination of girls? After all it has almost eradicated FGM in France. We would love to know your views. This is a subject we will come back to and a campaign we are committed to supporting. Make St Valentine work 365 days of the year…. For many, this is a day that can really intensify feelings of loneliness, and we do recognise that. The commercialisation of one day of the year upon which all our hopes of love are apparently supposed to hang can be frustrating and, quite frankly, distasteful. But for others it can offer the opportunity to reconnect with a partner and really notice and appreciate them in a way that compensates a little for days we take them for granted as life’s stresses take over. Our last post gave a few first tips for real intimacy with a partner, rather than just superficial romance. 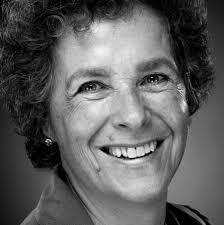 Today Jane Gotto offers more thoughts to build on that intimacy. Firstly you can make your own Day – it does not need to be the 14th. It is difficult to highlight one day of the year as the most ‘romantic’. Make sure the time feels right. Think about what quality you would like to bring into your relationship – you can check back with last week’s relationship tip – and see how you are getting on. Is it working for you? We had a number of people get in touch about last week’s post saying how quickly they had realised that their relationship was loving but that real intimacy had drifted away. You may not be getting the response you want directly, but stay with your desire and what you want, and resist getting resentful and critical. Changes can take time and the response from the other person can come in unexpected ways. 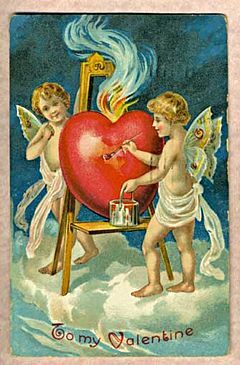 Secondly, what would make this period of St Valentine’s different and special, and even a ‘growing experience’? Perhaps you could spend time every day for the next week telling your partner about something you really like about them – a quality of theirs, something they have done for you, something they have thought of or taken time with. The important thing is to say it to them, in a way they can hear. Hopefully, they will want to join in and do the same for you. Discuss what would be a fun and a novel way to ‘celebrate’ your relationship during this time. Some music, a walk, a leisurely day spent together, cooking your favourite meal, having dinner….. So do take a look at our previous post alongside this one and let us know what you think these tips could add to your relationship. Or let us know what already works for you – we would love to hear your own tips. Relationship tips for St Valentine’s Day & beyond.. In recent weeks Jane Gotto has been offering a ‘Relationship Tip of the Week’ on our Facebook page for those of us interested in Valentine’s Day, or for anyone interested in a good opportunity to refresh and look at a relationship. Today we bring some of the most recent ones together and next week will make a digest with some new ones for the big day itself. So firstly, have a thought about what you are putting into the relationship in comparison to what you would like to take out of it. It’s so easy to want something different and expect someone else to give it to us – and we can often feel quite entitled and expect that ‘they should’ be meeting this need. However, when we think in this way we are being judgemental and attacking. Thinking of what we would like, and seeing ways we can put this quality into our relationship for ourselves, is taking responsibility. 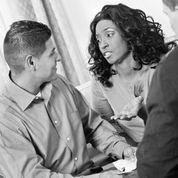 Taking responsibility is also being able to find a way to talk to our partner when we do want something different or to make a change; we can find ourselves saying it in a caring and open way and allowing them time to hear it, digest it and continue the conversation. That is INTIMACY! Romance is different from intimacy, and it is intimacy we are looking for to satisfy us in long-term relationships. Romance is the unexpected, not knowing, being whisked up and into the ‘romantic bubble’. This is great in its right place, such as the beginning of the relationship, but long-term it does not last or satisfy. Real connection comes from commitment, and that contact with another creates an intimate relationship. 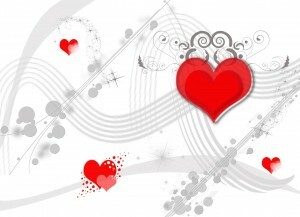 So coming back to Valentine’s Day – if you find this idea interesting, look at how you can you create connection and contact with your partner and just what you would you need to do or say. It is a challenge, but that deep intimacy is the basis for a lasting and nourishing relationship with a partner. Happy New Year and our best wishes to you for health and happiness in 2014. There are many ways people support themselves towards health and happiness at the beginning of the year – many of us start by making ‘New Year’s resolutions’. That’s great – and it is an opportunity to see what you like about yourself and your life and to make decisions to improve the areas you would like to change. 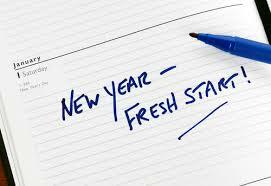 Importantly, making New Year’s resolutions which are genuinely possible to achieve can create a feeling of well-being and increased self-esteem. It’s good to consider, carefully in the cold light of your life, the decisions you have made to see if they are realistic, and if the time scale is actually possible. Re-negotiating a resolution could make all the difference to achieving it. That is a success, and puts you in charge of the decision you have made. You might also need support or a ‘buddy’ to help you achieve what you want; making it public and sharing an aim can be more fun and you can enjoy the process too! Enjoying the process is really fundamental to the continued success of what you want to achieve. It is one thing to make a change, but to feel good and substantial about that change is long-lasting and makes you feel good about yourself. We also have to consider whether, for those relationship changes that are important, having as ‘D-Day’ that one day at the beginning of January is a good thing. Often people find they are reassessing their lives after major celebrations or life events – Christmas, birthday, a bereavement or redundancy for example – and although these are important moments, they are also times to meditate on, and take time with, a decision. Taking that time and making space for contemplation may make for a better long-term result than the initial ‘re-acting’. So if you are considering ending a relationship, take time to understand what that really means. Talk about it with your partner (if that is possible) so that when you come to your final decision it is well-considered, thought through and processed. At this point it can be beneficial to include professional counselling. When people do this the outcome is genuinely better emotional and mental health for themselves and for their family. This Christmas and New Year had a particular spirit which seemed softer, and I keep hearing people talk about feeling good about 2014. My best wishes to you for yours.